Pokémon are usually cute creatures. That’s part of the appeal. But the upcoming Pokémon fighting game is not about that life. A couple of weeks ago, I had a chat with Pokkén producers Katsuhiro Harada (of Tekken fame) and Masaaki Hoshino (of Soul Calibur fame). I wanted to know, what was the most surprising thing about working on a Pokémon fighting game? Turns out, the answer was different for both Harada and Hoshino. It shows. When you look at critters like Pikachu and Lucario, you can make out tufts of fur. But, more noticeably, the animations for the Pokémon are pretty realistic, too. When a monster like Machamp lands a punch, it looks like it hurts. When Charizard gets pummeled by a legendary Pokémon, you can hear painful grunts. Fighting games have a totally different priority. Fighting games are more openly about the impact of bodies brutalizing each other, of what happens when a blow connects. So, some semblance of realism here makes sense—you’re not just commanding a Pokémon to go do something, as you do in the main games. You ARE the Pokémon, which means you see the battles unfold first-hand. That’s inherently more intense. Harada says a different element of developing Pokken Tournament proved most unexpected for him. 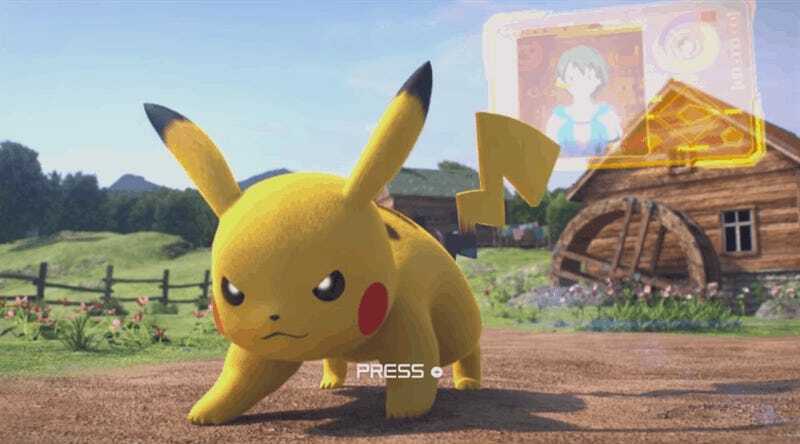 Harada was surprised to find that, despite his reservations, the Tekken moves “actually fit the Pokémon” really well. Pokkén Tournament is out for Wii U on March 18th.